Light rail puts your message in front of pedestrians and vehicles on routes inside and along the busiest corridors in a community. 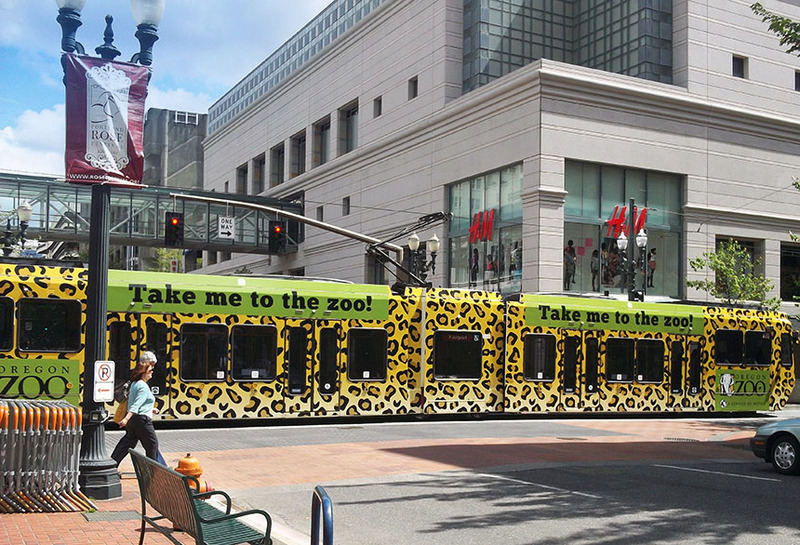 The Oregon zoo in Portland, OR used Lamar transit to advertise their brand with this full wrap creative. This leopard print train could not be missed as it moved through the community and could remind consumers of only one thing; The Zoo.